A PROGRESSIVE Scottish courier firm has purchased its first plug-in hybrid vehicle in the latest move to reduce its carbon footprint. 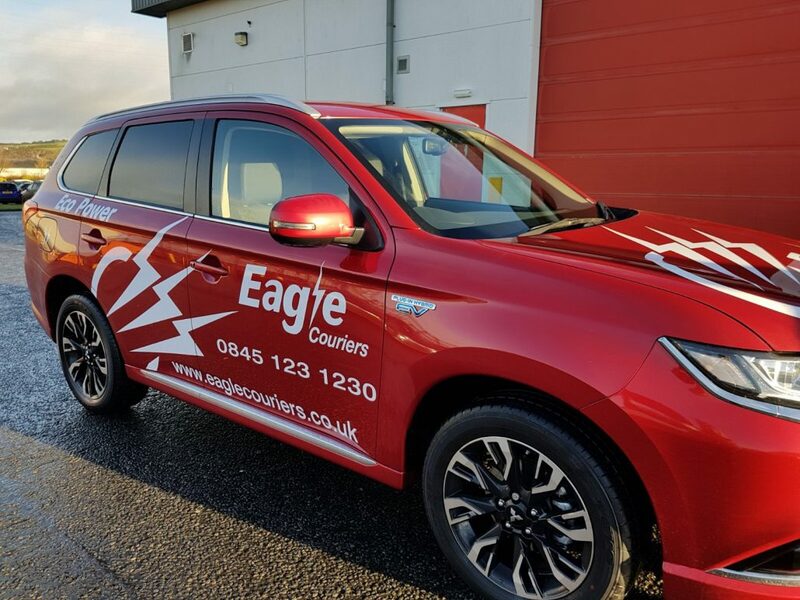 Eagle Couriers has taken delivery of a Mitsubishi Outlander PHEV months after meeting with Scotland’s Transport Minister Humza Yousaf to discuss how electric vehicles can be realistically adopted by Scottish businesses. Regular trials of electric vehicles have even taken place at the firm since 2001, when it met with one of Mr Yousaf’s predecessors, Labour’s Sarah Boyack – who was keen to learn more about the trials. 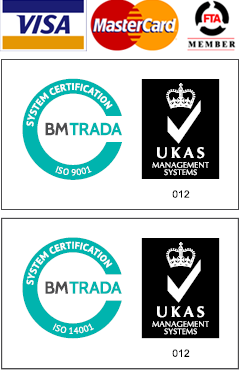 The firm, which is Scotland’s largest independent courier business, has always put sustainability at the core of the business, adopting electric bikes in 2012 and recycling huge amounts of tyres, oil and pallets annually. 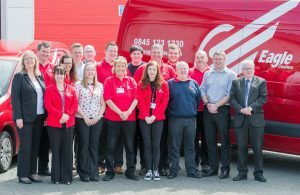 Fiona Deas, Co-Director with Bathgate headquartered Eagle Couriers, said: “We’ve always been very aware of our responsibility as a courier firm with a comparatively large number of vehicles. “For us however, the new technology simply had to make business-sense, which was the core of our discussions with Mr Yousaf earlier this year. “While full-electric vehicles still don’t have the range or fast enough charging to meet the demands of the business, we are getting incrementally closer. Throughout Eagle Couriers’ many trials the vehicles have not yet met with the demands of the fast-paced business, burdened by lengthy charging times and limited range. The recently purchased Mitsubishi Outlander PHEC boasts a 33-mile electric range as well as up to 166 miles per gallon combined range – able to switch back to petrol for longer journeys often required by couriers. Jerry Stewart, Co-Director at Eagle Couriers, said: “Considering the environment in the day to day running of the business in one of Eagle Couriers’ core philosophies. “Having a fleet full of pure electric vehicles is our dream, but it is one that will take some time to get to. 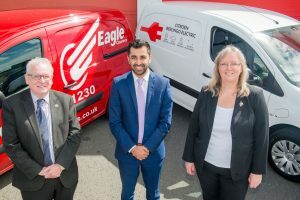 Following his visit to the firm in June, Transport Minister Humza Yousaf, said: “I am encouraged by Eagle Couriers’ green ethos and its desire to add more low carbon vehicles to its growing fleet in the future. “The Scottish Government is committed to meeting its ambitious climate change targets so that Scotland’s people and environment can be freed from harmful vehicle emissions and breathe cleaner air by 2050. Eagle Couriers is the leading Scottish courier firm with more than 32 years’ experience. More information about the company can be found at www.eaglecouriers.co.uk – and feel free to give our team a call on 0845 123 1230, we’d be delighted to help you out.